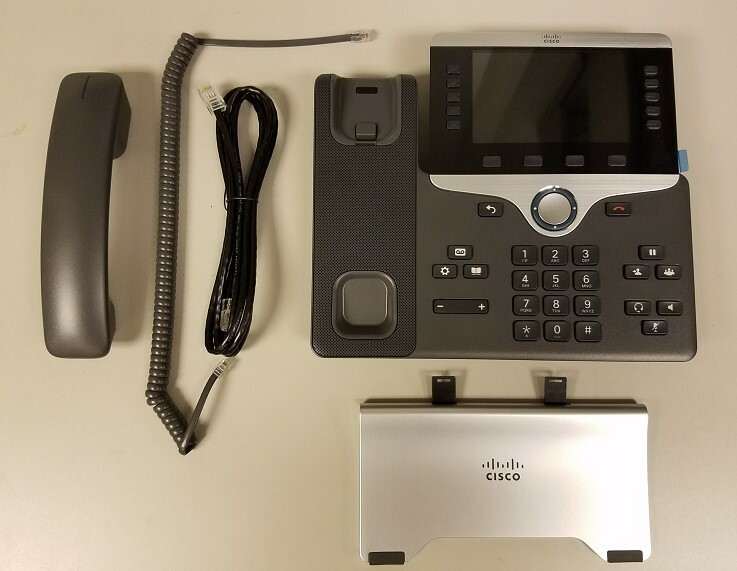 Follow these instructions after 8:30am on your migration date to assemble and configure your Cisco model 8841 or 8851 phone. 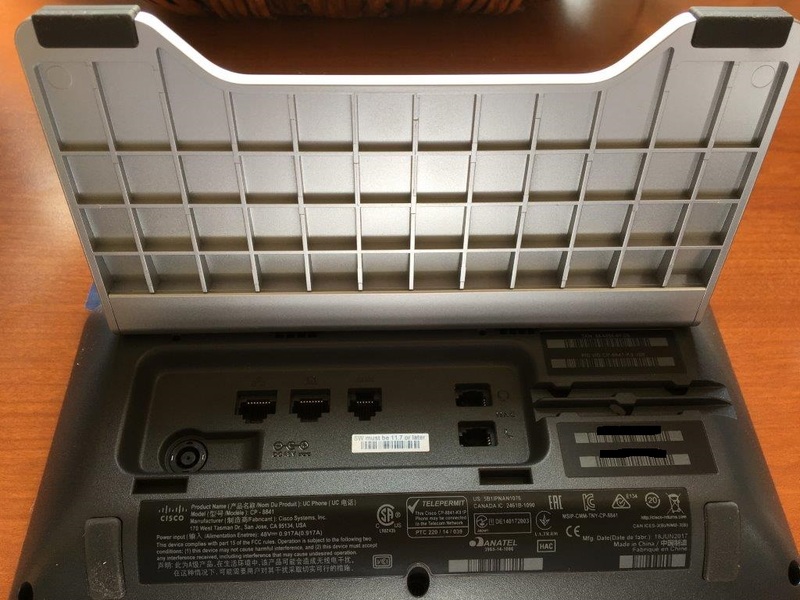 If you do not have a desktop PC and plan to plug your new phone directly into an active but unused LAN connection, begin at Step 6a. 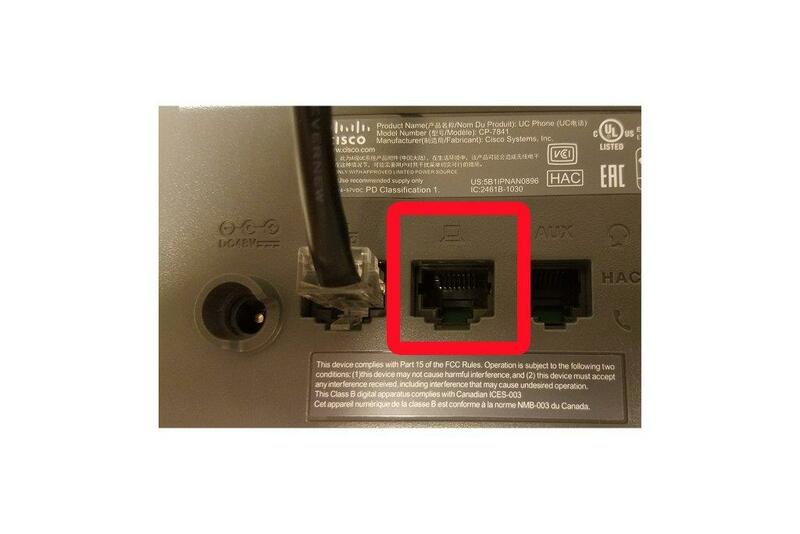 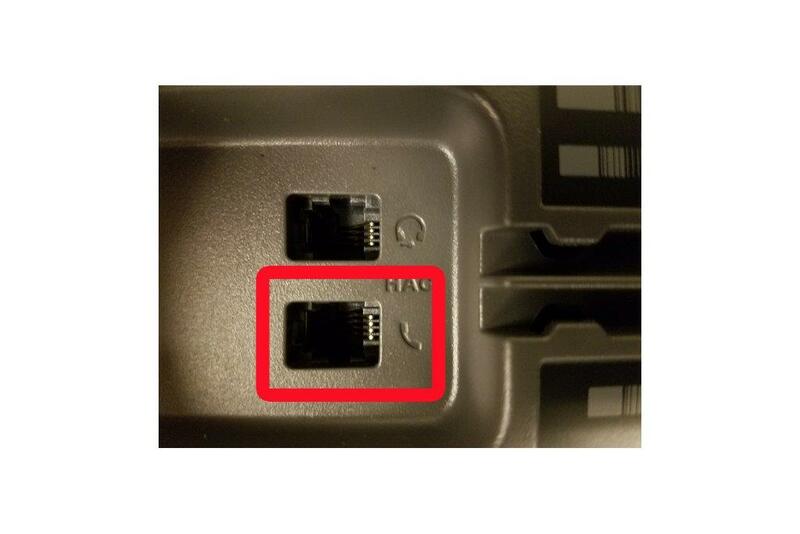 Unplug the existing network cable from the back of your computer and plug into the network port on the back of the phone where shown. 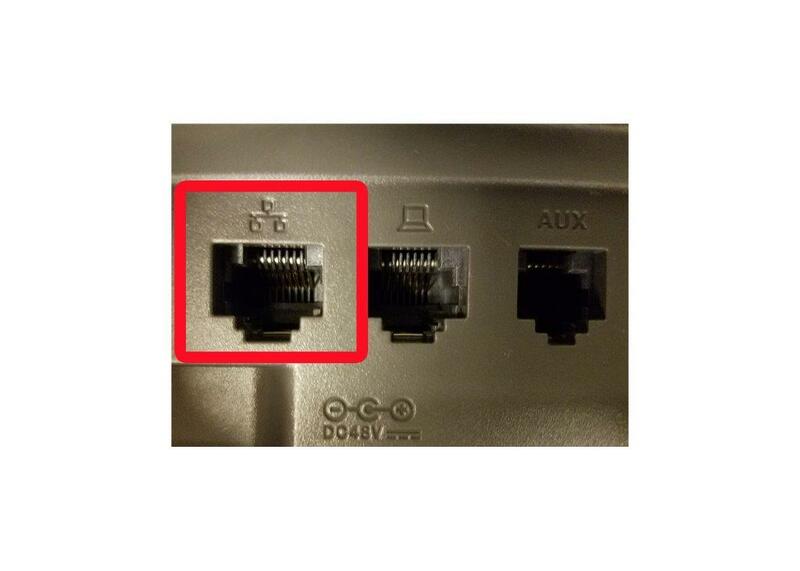 Step 6a: If you don't currently use a network cable with your computer, connect the new network cable from the LAN wall jack to the PC port on the back of the phone.